Social psychologists have always been concerned with two-person interactions and the factors enabling one person to gain dominance. Although social psychology has devised a revolutionary set of techniques to investigate the phenomenon of power, hypotheses are too often ambiguously stated, research programs end in cul-de-sacs, and experiments take on the character of one-shot studies. In an attempt to stimulate new directions in research and to provide cumulative emphasis on the development of scientific theory in the area of power relations, Tedeschi has assembled original and path breaking essays from a dozen outstanding scholars and researchers in the behavioral sciences. More tightly integrated than leading books in the field of power relations, The Social Influence Processes focuses on two-person interactions. A full explanation of the terms "power" and "influence" is followed by an analysis of the major variables in connections between two persons that must be taken into account in a scientific theory of social influence. 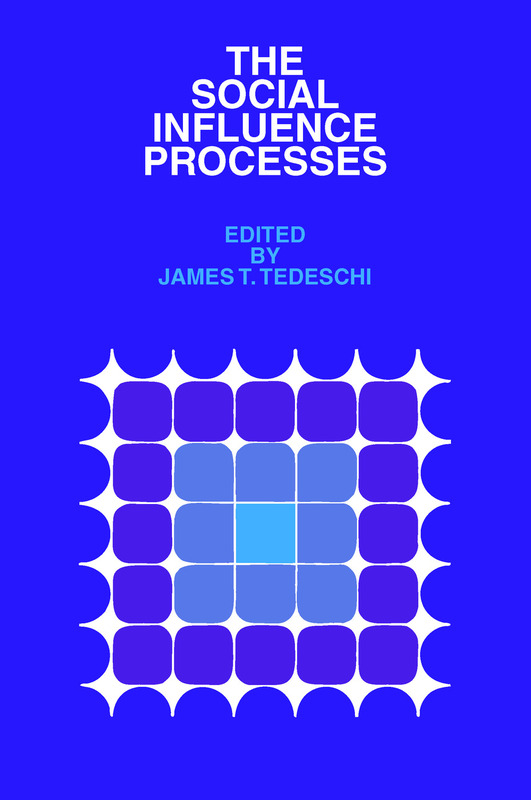 The subsequent chapters respond to the categories established, attempting a comprehensive construction of social reality and offering suggestions and techniques for measuring and ordering its complexity. Particular areas of research and theory are isolated for consideration in depth--such topics as personality as a power construct (Power and Personality by Henry L. Minton), influence in exchange theory (The Tactical Use of Social Power by Andrew Michener and Robert W. Suchner), and leadership through charisma (Interpersonal Attraction and Social Influence by Elaine Walster and Darcy Abrahams). In the final chapter, Tedeschi, Thomas Bonoma, and Barry R. Schlenker attempt to provide a general theory of social influence processes as they affect the target individual by reviewing the research literature in their own theoretical terms.